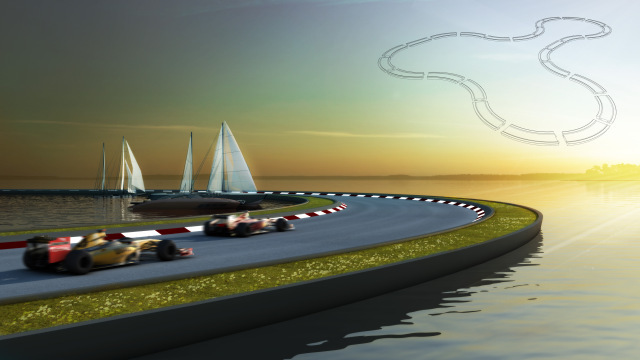 Baca has designed a highly innovative, modular floating Grand Prix circuit. The floating race track is reconfigurable for different events or locations such as Hong Kong, Sydney, Mumbai, Amsterdam, Manilla or Jakarta Bay. It can be transported and altered annually and could even be leased to different host countries. This extraordinary track would be a stunning spectacle for both viewers and drivers and would be complemented by an extensive marina, floating hotels, facilities and floating solar farm or wind power to make it carbon neutral.